A funny thing has happened since deciding not to buy new products. The thrift stores keep providing! Well, almost always anyway. I've still yet to find a good toaster oven. But on the crafty side of things, I've had absolutely no urge to step foot into a craft store. One of my local thrift stores puts all but the newest items half off each Saturday. Last week, I left with nothing. Sure, there were some interesting items, but nothing I needed. This week? a very crafty thrift store haul! I hit the crafty mother load! 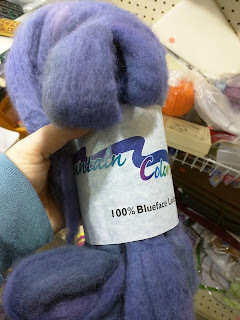 I could hardly believe it when I spotted this pretty spinning fiber laying atop a bin of fabric and acrylic yarn! And yes! It had been there at least a week so it was an even better deal. :-) At $4, I figured I couldn't go wrong and happily tossed it into my basket. Even if there is a bit of felting, it'll still be well worth the price! 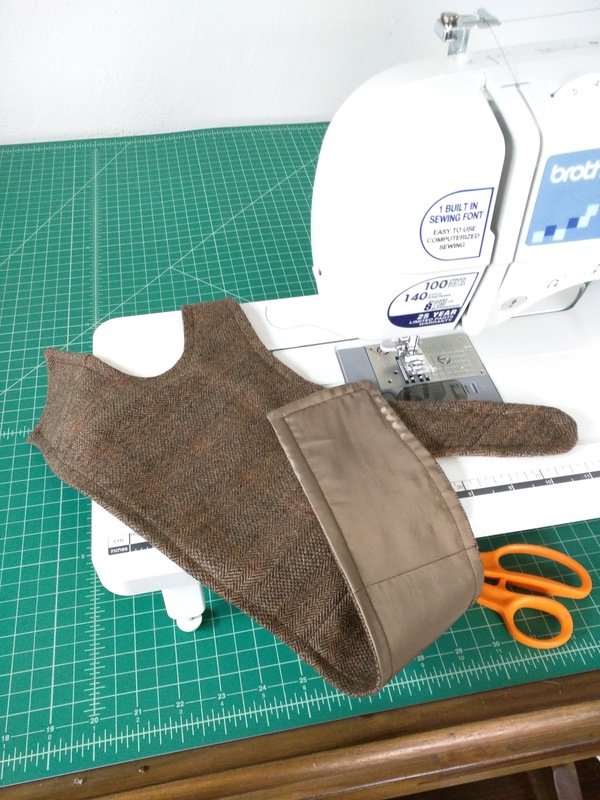 I rip out and keep the zippers from any clothing items I repurpose, but I'm always on the lookout for good closures and was not disappointed that day. I found a pack of 3 zippers (50 cents) and another package of closures - snaps, hooks and eyes and even an overall buckle (also 50 cents). As I kept wandering, I spotted this inkle loom tossed on a table in the furniture dept. Full price, but only $5. :-) I was thinking warping board and I do believe it will be used that way, but I'm happy with the find either way. 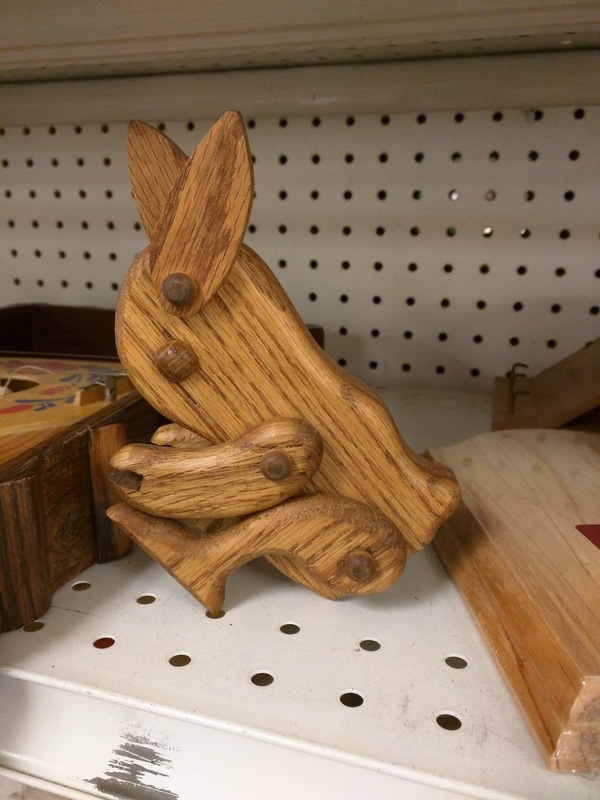 When I first started thrifting, I tended to look in only particular areas of the store. Big mistake. lol I quickly realized that those sorting donations and placing them on shelves don't always know what the item is. I've seen pet items placed among kitchen utensils and parts of a set* split up and put in separate areas of the store, and of course the shoppers who change their minds often just place things on a shelf nearby so things aren't always where you'd think. The thrift stores here aren't massive so a quick browse up and down aisles doesn't take long, esp if you're pretty good at spotting the gems, and the extra effort can result in great discoveries. While I do go in with a list and try to stick to it, occasionally, something comes along you can't pass up. 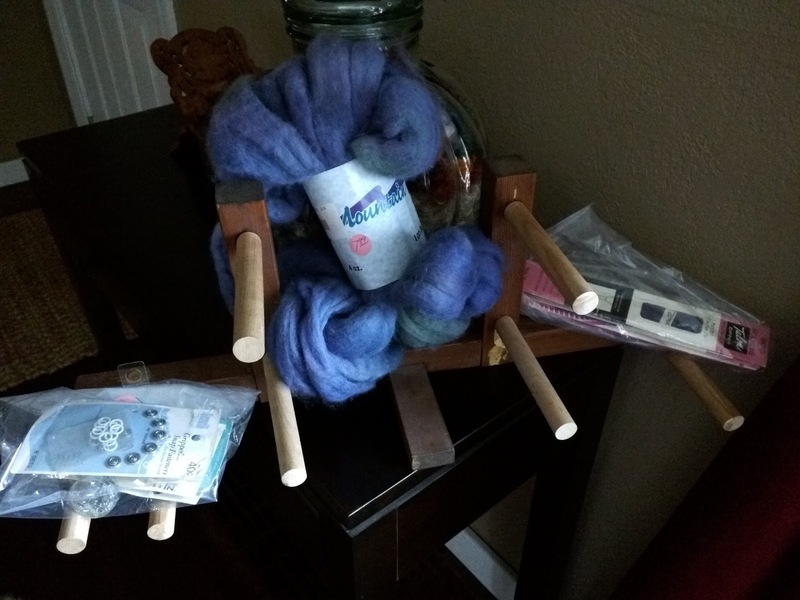 I have plenty of spinning fiber in my stash, but there was no way I was leaving this behind! Sometimes, you just have to trust fate. :-) I wonder what this will become... it's already on its way to becoming yarn. 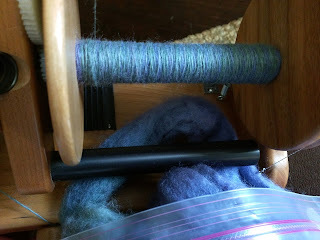 So far, no real felting issues with the fiber either. What's been your favorite crafty, thrifty find? As a kid, our Easter egg hunts always involved hard boiled chicken eggs that we had collected from our own hens and then had the fun of dyeing ourselves. Our baskets were macrame over wire frames and the "grass" was fluffed out yarn ends permanently in place. 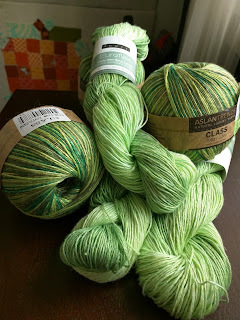 While I'm sure the yarn was petroleum based (it was the 70s after all), they were sturdy and reusable year after year. 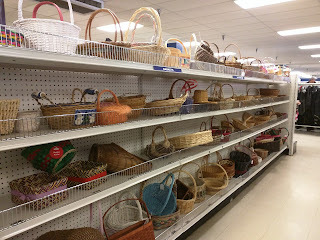 I'm sure those baskets are still hiding away in a box in my mom's basement. Plenty of options and very reasonable prices too! So that covers the basket, how about a cute bunny to put in it? 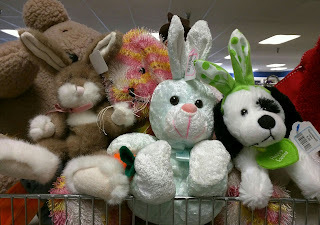 Okay, the bunnies got photobombed by a bear, but there were even more bunnies that didn't make it in this shot. And how cute is that puppy in bunny ears?? Maybe you're looking for something less soft and cuddly? 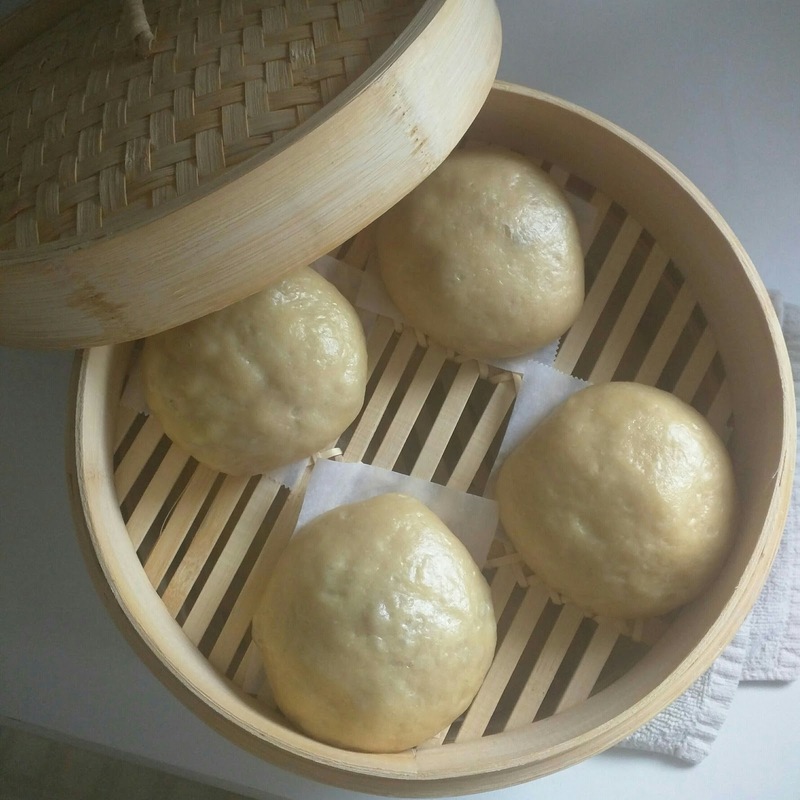 look at my awesome buns! 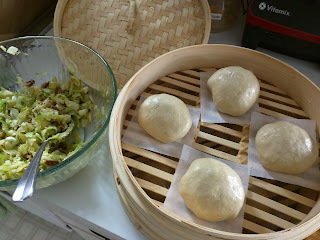 Back in January, I picked up a bamboo steamer set at the thrift store and finally put it to work over the weekend! I was so excited to find it because I love Asian cuisine. I hadn't ventured much beyond making stir fries in the past though I have made my own vegan teriyaki sauce. I'd always left the rest up to the experts. Well, this weekend, I changed that. Sure, I could have stopped at the local Asian market and picked up frozen steamed buns to toss into my steamer, but what's the fun in that? Plus, they come in a plastic bag. Boo. 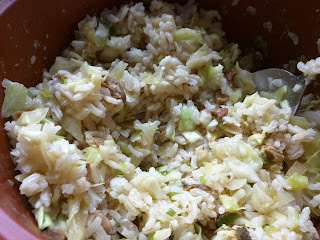 So, off I went in search of a recipe to make my own and came upon this one from The Kitchn. After a stop at my local co-op for supplies and a couple stops trying to find vegan oyster sauce*, I had what I needed to give it a try. Oh my goodness, why haven't I made these before now?? It was so much easier than I thought! I pretty regularly make yeast doughs (bread, pizza, etc) so making the dough wasn't intimidating at all. While the dough rose, I started chopping. I'm a big fungi fan and had dried, mixed variety mushrooms on hand so I added those to my veggie filling (after rehydrating, of course). 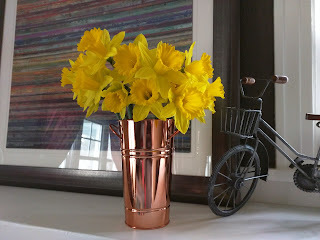 Yeah, these will definitely be making regular appearances in this house! I ended up with extra filling and made up some rice and mixed it in. Curious how much sugar you're consuming? Check out That Sugar app too. I found it very interesting. A lot of the information shared, I've heard or read elsewhere, but it's definitely worth a watch. The film follows Damon Gameau as he changes his diet and begins eating the same levels of processed sugar that an average person consumes. I found it very telling that at the end of the experiment, Gameau had gained weight even while eating the same or fewer overall calories than he had previously. In moderation, sweet foods aren't bad, but sugar consumed in the amounts most of us do daily isn't good for anyone. Take a look at some of the labels of the processed foods in your cabinets and fridge. You may be very surprised at many of the products that have sugar added in one form or another and it all adds up. The American Heart Association recommends no more than 6 tsp (25 grams) for women and 9 tsp (37.5 grams) for men of added sugar per day. Sound like a lot? A can of Coke contains 39 grams of sugar! Want a real shock? Those 7-11 Big Gulps? 91 grams of sugar! And that's if you put in 4 oz of ice before filling it up. I cook mostly from scratch, especially now that I'm avoiding most packaged foods. Sure, there's still processed junk in the bulk bins, but I try to limit those items and stick to the one-ingredient bins. ;-) When I bake, I mostly use local raw honey these days in place of the sugar or at least cut back the amount in the recipe. Why honey instead of sugar? The sugarcane industry has a negative impact on the environment and wildlife where it's grown. Forests are cleared to make way for the crop. The growing and processing of sugarcane requires immense amounts of water and pollutes our waters with runoff and production waste. And then there are the fossil fuels burned in shipping the sugar across the country or around the world. For the past few years, I ate an almost entirely vegan diet and avoided products with honey for that reason. Over the past year, as I've learned more about the impact of the sugar industry, I've added local raw honey back into my diet in place of cane sugar in most circumstances. Not only do I feel this has a lighter environmental footprint in many ways, I'm also supporting local business. I can even refill my own jars from the local raw honey on tap at my co-op! More information on the environmental impact of the sugarcane industry can be found here. Have you ever tried to cut added sugar completely out of your diet? February didn't see a lot of yarny crafting, but I did begin a new project! 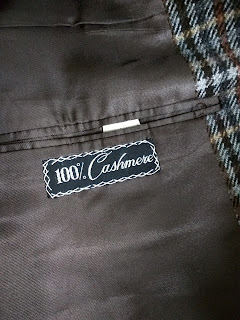 The warmer weather inspired me to cast on a light poncho for walks when a t-shirt isn't enough, but a jacket is overkill. ;-) Yes, we've already experienced days like this. I've even taken the boys on walks in just a t-shirt already! Hello, global warming! 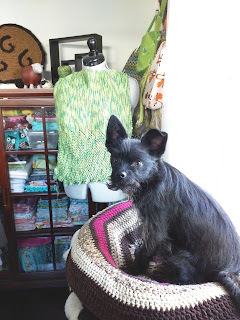 So off I went in search of a pattern, beginning with those available for free or already in my current collection of patterns. If you knit or crochet and haven't checked out Ravely and their awesome pattern search functions, you really should! 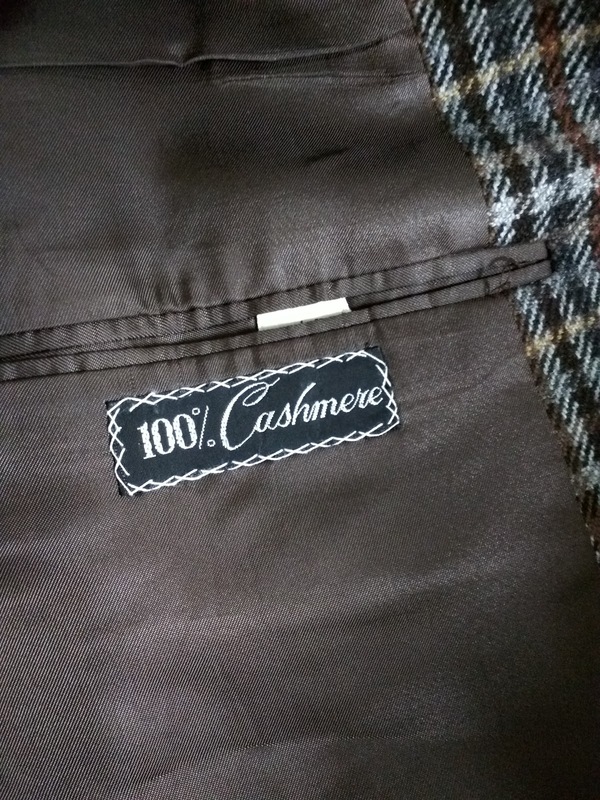 I was able to not only search for free/already owned patterns, but also choose the yarn weight (sport, in this case) and yardage range as well as the type of project (poncho). 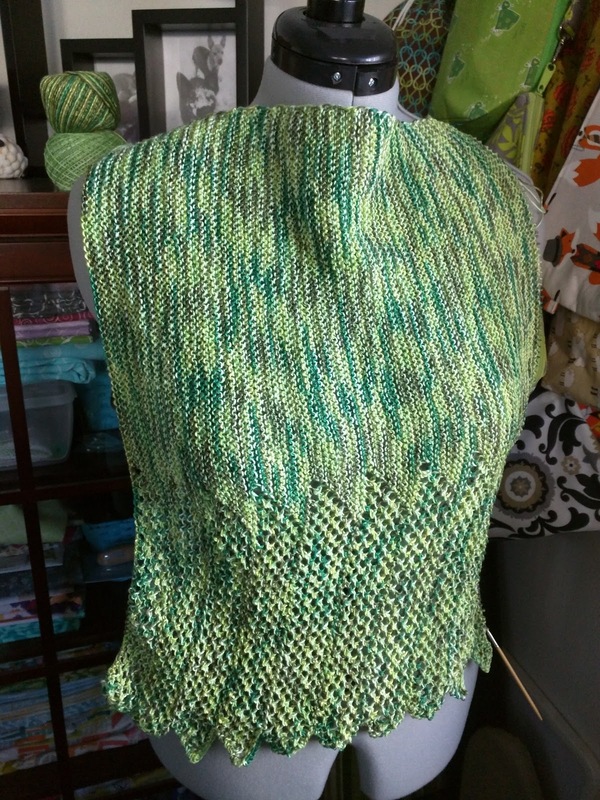 I found a pattern that caught my eye and realized I likely did not have quite enough yardage to complete the project with the stash yarn I had in mind. So what's a good non-new product-shopper to do? Get creative, of course! I still have many, many repeats to go, but I'm making progress! I've keeping up with an average of a repeat a day so far and am nearing the halfway mark. The linen will soften up considerably once it's washed too so this should be a comfy wrap with a nice drape when finished. All the details can be found here (including a couple corrections to the pattern). 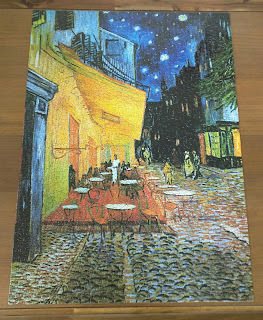 For the record, impressionist paintings do not make for easy puzzles. ;-) This one took me 9 days, start to finish. For any puzzle lovers, check out the thrift stores! I see puzzles that are still sealed fairly regularly. My guess is they were unused gifts. Yay for passing them along for others to enjoy! :-) Selection is more limited than a store, but you can't beat the price! And if you're a gambler, go for one that's been opened but be forewarned that pieces may or may not be missing. A friend just got one that was missing 1 piece. :-/ But I've heard others have had good luck with pre-loved puzzles. Hopefully this one gets picked up again by someone. It's already beed disassembled, the box taped up and put in my donation bag. If you do have a puzzle with missing pieces, remember, they're paper and recyclable! Goodwill puts everything with a specified color tag half off each week to move things out before they get pulled and shipped to their Outlet stores. 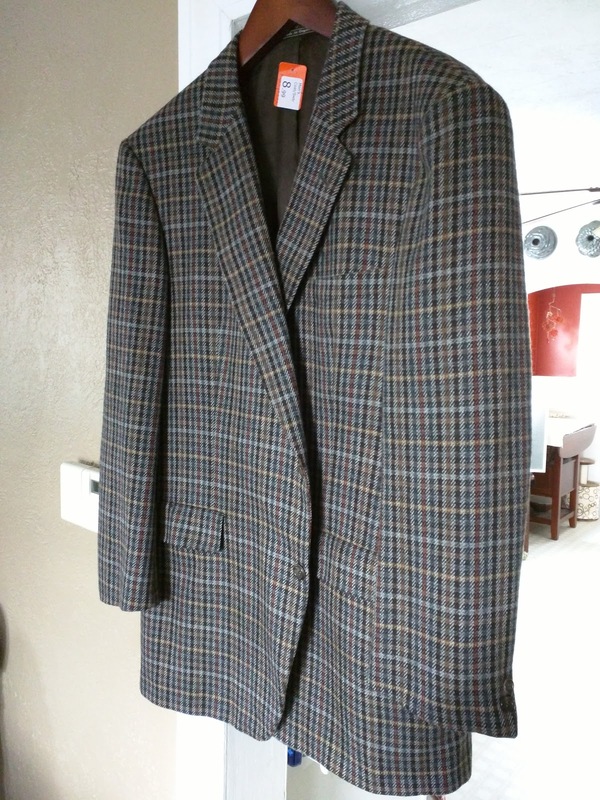 I rarely find anything I need with the sale tags, but I also rarely look at the clothing. The thrift store near my house has a similar tactic, but they sell anything with the specified color tag for only $0.49! No matter what it was selling for originally. I picked up a nice picture frame recently from there that happened to have the right color tag and it's now hanging on my bedroom wall. I plan to eventually replace the current print in it with one of my own - just have to decide which image and have it printed. 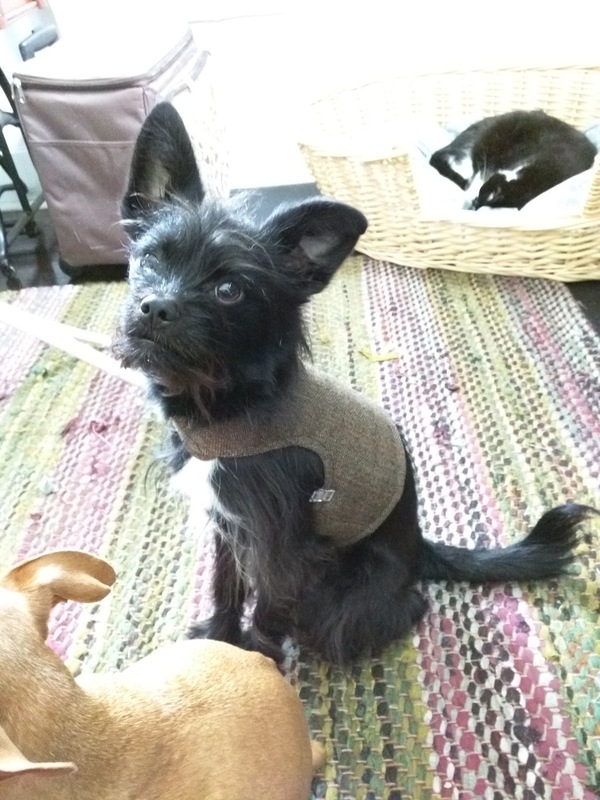 Anyhoo, I stopped in last week and decided to take a peek at the men's suit jackets to maybe find one I could repurpose into doggie wear. What did I find? I started with the wool coat and used a harness I have for them as a jumping off point and made a few changes. Fits great! I just need to finish the fasteners. 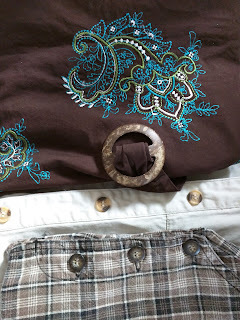 Amazingly, I didn't have appropriate buttons so I headed back to the thrift store this week to see what I could find in the ultra cheap clothing. I found two dresses with lots of buttons - 11 from one, 10 from the other! 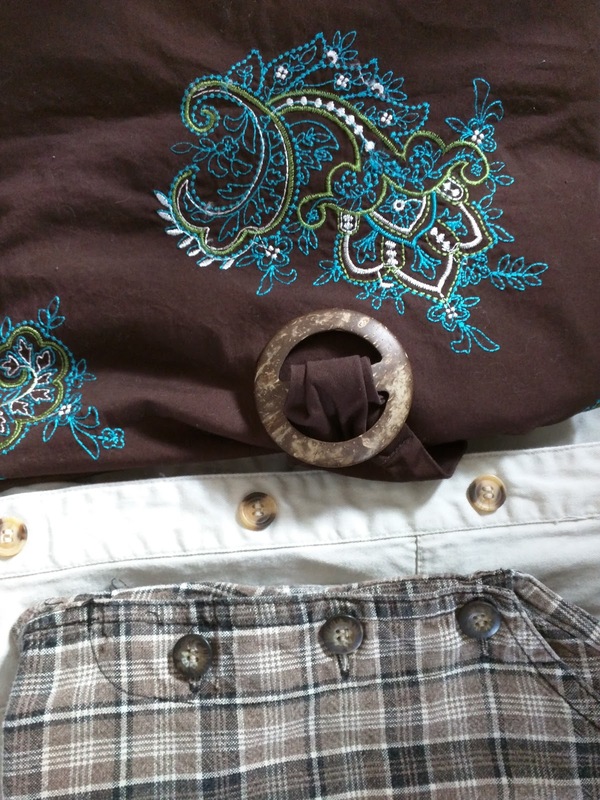 While looking, I spotted the embroidered brown cotton skirt. It just screams bag to me. :-) It even has a nice coconut shell buckle I can reuse. So, I'm good on buttons now and will of course repurpose the fabric from the dresses as well. 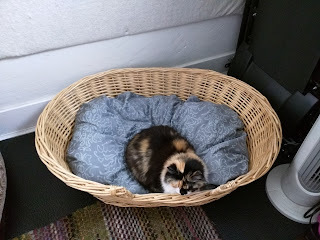 Last Fall, I found a ridiculous deal on a feather comforter and duvet cover ($5!) and I finally pulled it out and got to work after finding a big pet basket (also $5) at the thrift store. 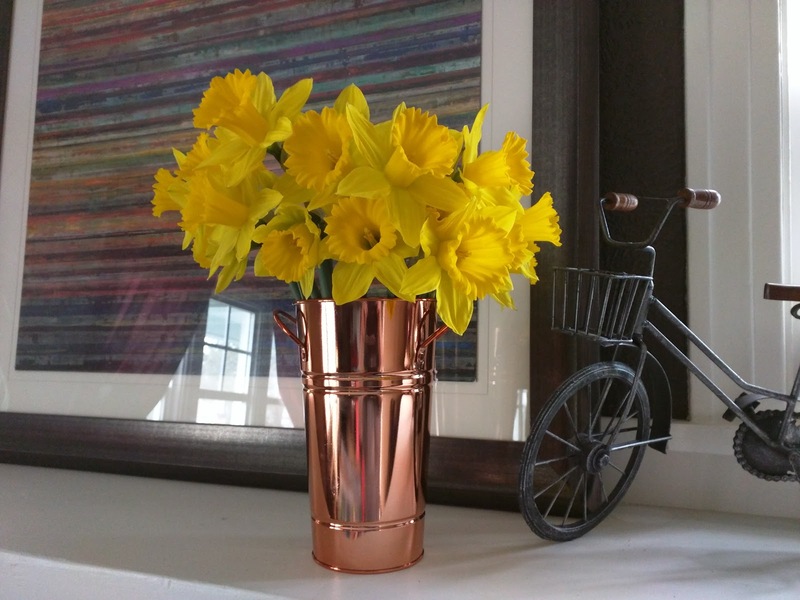 Super easy project! 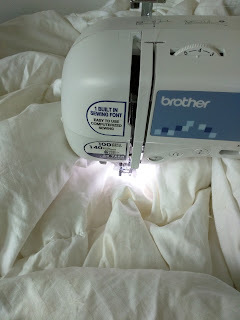 I reused the original closure section from the duvet cover so I only had to cut out the oval shape and stitch it up. For the stuffing, I only had to run one seam down the comforter next to a stitch line already present (it was stitched in a grid pattern already) so I could cut off just the amount I needed. Took a little patience wrangling the comforter through my sewing machine and made a bit of a feathery mess, but totally worth it! There's room for both dogs and a cat... or Phoebe.